One of the most common and useful tools in any crisis or emergency communication management strategy is having a ‘dark website’. Now don’t get confused with the nefarious ‘dark web’, nor the ‘dark side’ and popular Star Wars references. A dark website is a pre-made, non-visible web site that is activated when a crisis or emergency occurs for a company. The site stores written-in-advance information and then provides all the latest information concerning the crisis, along with news releases, company statements and contact information. In the event of an incident the dark site needs to be ready and seen by the public within hours. Websites, microsites and social media sites are where most people will turn to get the latest information about an event or company. When a crisis hits, a company simply doesn’t have time to have their IT team, web designer and marketing team to put a special website together, which could take days or even weeks. At that rate, the company could be out of business before the crisis response website is even launched. Once live, the company’s dark site positions the company as the primary source of information about the crisis. It shows that the company is in control and taking responsibility, which generates trust and goodwill. The advantages of using a dark site includes the ability to post quickly changing information, the availability of an alternate site when a standard site crashes due to too many hits or a malfunctioning server, and the ease with which users can quickly select and prepare documents for uploading. In a crisis, due to the increasing number of simultaneous web traffic hits spiking in a short period of time, exceeding the capacity of the hosting environment, a website may become unresponsive or crash. If other operations within the business rely on the same website hosting environment this may have a flow on impact to other business functions. Understanding the current primary website hosting, redundancy, fail-over as well as what load testing has been previously performed to confirm maximum performance thresholds is important. Having the dark site hosted on alternative servers to the current site is an option, so that when the existing site is not accessible, viewers can be easily re-directed to this other server. The process of ‘redirecting’ has to be looked at in regards to the management of the DNS (Domain Name Server) for the current site, if considering updating the DNS to reflect a new IP address (Time delays through DNS propagation may be a concern… as some DNS propagation can take 24hrs), so alternative domain name pointing methods/redirects may need to be considered. Hosting on redundant servers, can be beneficial in any emergency that damages infrastructure. If the client has internal self-hosting rather than a distributed cloud hosting solution, or a redundant data centre approach with fail overs in place – this should always be scoped and confirmed first, as part of the decision making process of which method to select. My own preferred solution involves a symlink on the hosting server, changed to instigate an immediate change to the dark site folder hosted in same environment, taking the current site offline and replacing it without delay to the dark site version. Hosting/IT and access will determine who/how this is performed. 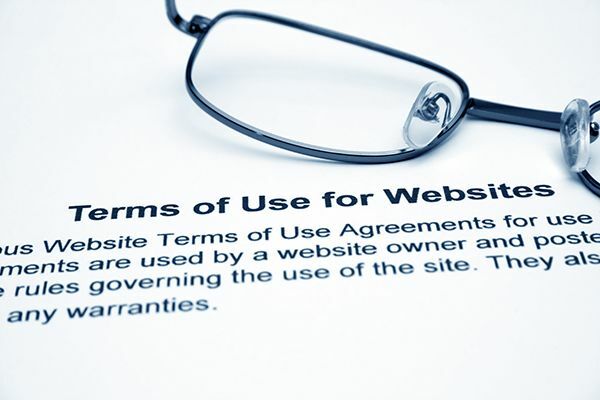 Determining what information, content or functions of the current website are required to still be available in the event of an incident and deployment of a dark site, need to be firstly determined, as this will affect the methodology employed, in either having a separate website, or having a cut down version of the current site in the same location/domain. So, the dark website can either be a separate website with its own URL, a page or pages linked to the company’s homepage, or a special design that replaces the company’s normal website. If the current website is fit-for-purpose with a clear and efficient CMS publishing process, then urgent content can take over relevant pages at the flick of a switch. This has the added benefit of not panicking customers in unaffected territories (different domain name or design elements), or breaking their user journey. As such, my initial research process would be to determine what web infrastructure is currently in place and if this is suitable to use. From a brand appearance perspective be mindful to display and demonstrate a clear signal of intent. If the business agrees unanimously that this crisis situation is the only priority right now. The situation is so serious, the product so compromised or the service completely unavailable, then everyone needs to know you are taking this very seriously, and a separate dark site will help convey this properly. A conversational tone of voice, different to the typical corporate brand tone, can also be achieved with a separate dark site. Dark sites are also useful to establish a distancing strategy. Then, when it’s time to move the conversation on, the dark site and how you refer to it can be a way to digitally compartmentalise. If the crisis is likely to be long-running, then this is also a determining factor into the method of site deployed. Particularly where the business has a regular wider customer base that expects to find routine business information quickly. Impact to Search Engines, and 404 error handling (page not found), or redirects (302 Temporary Redirect), need to be considered for the long term implication of brand impact, and organic search results. As taking a website fully offline, and presenting 404 errors will cause degrading results in Search Engines. Caveats: If a website is taken offline, all online/offline marketing campaigns (Adwords, Social Media, EDMs, Landing Pages, QR codes, Apps, Shortened URLs etc. will no longer work for the period that the site is down.) If a ‘Business As Usual’ or partial BAU is required during this phase, then consider a home page take-over of the current site, where the home page is replaced with the Dark Site content and internal web page templates are updated with the top header section replaced out with the Dark Site information, and a pointer back to the home page to reference all updates during this time. This means that the remaining body section/content/functions in the site are still available to consumers and won’t impact Search Engines, or campaigns. This is an option for discussion and consideration during the scoping phase. Content that is created for the dark site needs to be considered with SEO in mind, to ensure no long term impact to brand terms and what pages should/shouldn’t get crawled or indexed by Search Engines. What happened and what specific steps the company is taking to respond. Special instructions telling those affected by the crisis what they must or must not do. Relevant information that promotes a better understanding of what the company does and how the crisis occurred. Contact information and email addresses for the news media. Statements from the top company officials. Contact information for members of the public affected by the crisis (a 24-hour toll-free line is best, along with the company support Twitter feed and the #hashtag for the event so that the conversation can be followed). Regular and timely updates. Always engage your community in an authentic manner. Being deceptive in a crisis management situation will get you nowhere. Clearly one of the most crucial things is to get the social media presence right. Concerned customers or shareholders will probably turn to their own newsfeed of choice, from Facebook, Twitter, Google+, LinkedIn and Instagram. This is where the company also needs to be, telling their side of a story and providing updates in text, images and short films. Have the channels ready for when you need and linked to each clearly from the dark site. Recruit an external team like Toby Creative, or form an internal working team that will manage content on the dark site. Responsibilities for this team should include determining policies for developing and updating content on the dark site and choosing criteria for when the site will be activated and made visible to the public. Training of how to perform updates to this selected team should be given, along with a CMS Manual for reference. Recruiting a technical team that will manage the networks between the dark site and the company’s standard site should be considered. Responsibilities for this team should include determining sharing controls (e.g., which staff are allowed access to manage the dark site) and choosing domain names. Will Multiple Languages be required? For global multinationals, confirm if the dark site needs to be translated into languages other than English. Using Google Translate with a built-in automatic machine based translator can translate text into 52 languages. Caveat: MBT is not 100% perfect, but it is a reasonable alternative for quick information under extenuating circumstances. How can Search Group & Toby Creative assist you? We offer cost effective WordPress websites that can be used for the purpose of a separately hosted, different domain name, managed and maintained solution. For larger clients, custom dark site website solutions are built after consultation which address all of the points noted in the above article. Social Media policy, management, monitoring and support during a crisis event is also available. Contact Toby Creative on (08) 9386 3444 or email info@searchgroup.com.au to arrange a no obligation consultation.